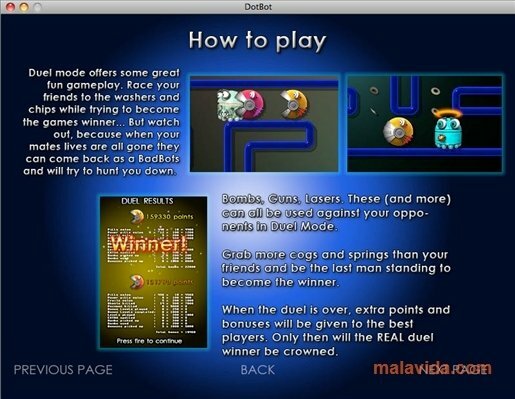 DotBot is an original version of the classic Pac-Man game that kept people entertained during so much time. 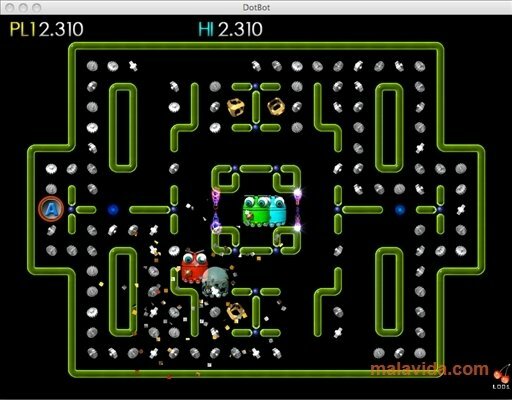 The main character, DotBot, is a robot Pac-Man that has to each all the metal objects that are spread out in the different mazes. But he has to be careful, because the mazes are also patrolled by the dangerous BadBots that will kill him each time the reach him. 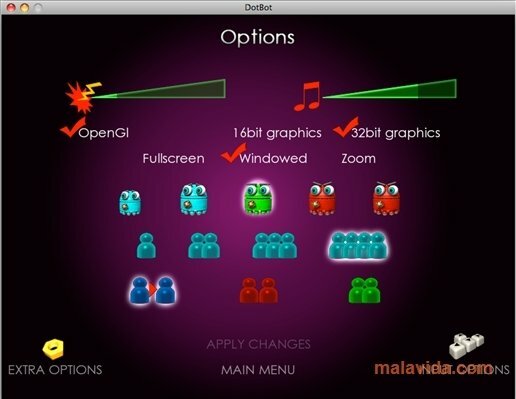 With rather entertaining graphics, this version provides some innovations in comparison with the classic PacMan game. 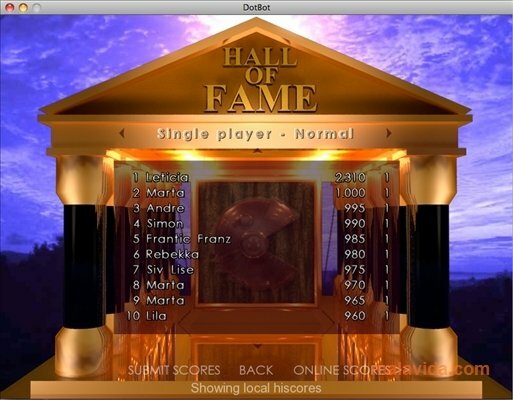 In DotBot it is possible to gain special bonuses like guns, glue, dynamite, bombs and extra speed. Thanks to this we will be able to shoot at the BadBots to save our life or glue them to the floor. 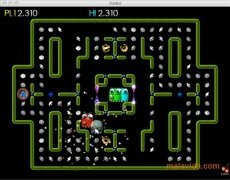 The graphics of DotBot are very entertaining and the new game modes will really appeal to all the people that played the classic Pac-Man game. The demo version has some limitations.